The abortion case over the cow is really commonly to happen. It just not only the female cow which is can’t pregnant well but it also the condition inside their womb. There is something wrong in their womb like disorder like wound, disposition, and etc. That’s why the pregnancy which beginning with okay and normal should be shut down and abortion. Basically this abortion known after the pregnancy is happen. So in the first, female cow is so fertile and normal when they and their couple are married. Because there is something over their womb like wound or disposition, so the uterus should be forced to making out. Actually the womb problem can cause by some factors like disease or their own disorder. The disease which normally cause this problem is like virus, bacteria, and fungal. The abortion also can cause by the dead-fetus that can’t be living longer inside the womb but the shape of the fetus is already perfect (if you didn’t know about fetus, fetus is a baby of cow which ready to be birth). For another word, fetus is the baby which ready to birth but it is dead inside the placenta. Basically the abortion is cause by infection and non-infection. The non-infection factors that can cause abortion in cows such like deficiency of Vitamin A and Vitamin A, selenium, and phosphor. Besides, hot temperature and stressed can caused hypoxia and fetal acidosis. And, the high temperature that happen to the mom is more affected to the fetus than external temperature. Another factor that cause abortion in cows are trauma and toxin. The example of toxin which is causes this problem such like Ponderosa pine needles, Astragalus sp, and Gutierrezia microcephala. To get closer and more know about what’s the reason of abortion in cows, let’s move on the main causes below that you should know. Bacteria. Bacteria has big contribute over this case which as we know that bacteria is small thing which means that invisible and can’t controlled as we want. The bacteria which usually affect the cow to abortion is Brucellosis which caused by Brucella abortus. Another disease which caused abortion is Leptospirosis which cause by vibriosis from Vibrio foetus veneralis bacteria. To reduce this problem which caused by bacteria, you should keep your cage livestock clean. If the cow is poop, clean the poop as soon as possible to another space which already exists. The poop of the cow can you process to fertilizer and biogas. Virus. Same as bacteria, virus also contribute to this case and their exist can’t controlled easily. Their shapes which invisible make you need more effort to solve this problem. The virus which affect the abortion over the cow such like Infectious Bovine Rhinotracheitis (IBR), Epizootic Bovine Abortion (EBA), and Bovine Viral Diarrhea (BVD). To avoid your cow from these viruses you can do vaccination injection to build their immune or also spray the disinfectant around the cage. Beside to avoid the disease from inside, kill the virus before it entered the body must have to do, isn’t it? That’s called double protection. Fungal. Another caused abortion of the cows is fungal. Usually, fungal growth to the humidity or moist place which not wet but also not dried. The fungal that mostly caused abortion over the cow such like Aspergillus sp. To avoid fungal attack to your cow, you better manage the air circulation over the cage moreover when the rain or winter coming. Protozoa. The mostly protozoa which cause this problem is Trichomonas foetus which caused disease called Trichomoniasis. Basically abortion case over cows caused by fungal. More than 60% or 80% cow abortion caused by fungal and mostly of Aspergillus sp. And the abortion condition 0.5% until 16% from all abortion case that cause by this fungal. This fungal inside the cow body by their food or respiration system. After that, it takes by blood and spread all around the body. If we talk about how this fungal can killed the fetus? Here the explanation. Firstly, the fungal entered to the cow by their respiration system and food and transferred over the whole cow’s body by the blood. Secondly, after the fungal is stay inside the body they eat some nutrition that consume by cow. Well this system is like maggot works which also usually meet in cow. Basically strange something will absorb the energy and nutrition if it places inside our body and so does the cow. Basically this fungal more like to stay in the tummy because the food is process there. So it is like there is sugar so does ant. And the more profitable place would visited by anyone. Thirdly, the fungal would stay until the cow is fertilization. Not only eating the mom nutrition, this fungal also eats the fetus’s nutrition. The fungal will blockage the food system which should receive by the baby. After that, the baby didn’t receive the food supply, and it would be dead starving. So it is the fungal just steal the food? Well the answer is not. 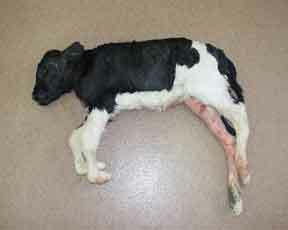 Beside stole the food and killed the baby, this fungal also break the womb of female cow. It would break the fetus membrane, endometrium, retensio placenta and infertility permanently after abortion. Here are some efforts to treat abortion or avoid your cow over abortion case. Increase the sanitation. Well if we talk about fungal or bacteria, it is so related with cleaning. As we know the main dirty supply on the cage cows is their own poop. So make poop sanitation so the poop can be process as soon as possible before the bacteria or the fungal growth and infected the cow. The protection inside the cow also being your main focus to solve this problem. Give the cow vaccine such like vaccine strain 19 when the cow in 3-7 months old, and strain 45/20 for the whole cows. Giving antiseptic and antibiotics. This is still the effort to avoid some disease and bacteria around the cage’s cow. Antiseptic also give the farmer protection to avoid infection that caused by their livestock. Well some disease that come by animal can also transmitted to human. So be careful. Reactor isolation. If there is one cow which sick or attacked by some disease, you better separate it as soon as possible to avoid the risk of transmitted disease. It may not infect you but it does infect another cow. Not only reactor that must be isolation, the beef cattle process which infected by this problem should be isolation either. That’s to decrease the virus or fungal transmitted which still possible to happen. The fetus that already abortion and comes out from their mom should be burn and buried. Once again it is still the effort to decrease the virus or fungal transmitted.